Adam Barnosky is a member of the firm's Commercial Real Estate, and Hospitality & Retail Services Groups. His practice is concentrated in representation of real estate developers, restaurateurs, commercial landlords/tenants, cannabis operators/developers and hospitality industry clients in Boston, Greater-Boston & New England. Adam represents clients in all phases of operations including: licensing procurement, land use and zoning matters, acquisitions, dispositions, negotiating leases, community outreach and government strategies. 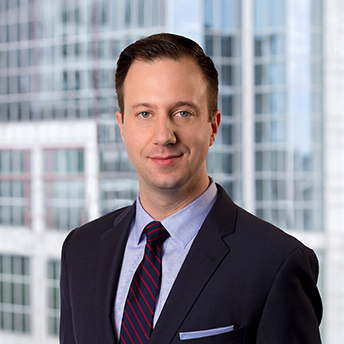 Adam has represented clients before numerous state and local boards, commissions, and regulatory authorities in Massachusetts including the Alcoholic Beverages Control Commission, Massachusetts Gaming Commission, Department of Public Health, Cannabis Control Commission, and the City of Boston Licensing Board. Adam has been quoted or cited in numerous industry publications including the Boston Herald, New England Real Estate Journal, University of Pennsylvania Law Review, MetroWest Daily News, Performer Magazine, among others. During law school, Adam clerked for the Honorable Virginia M. Morgan of the United States District Court for the Eastern District of Michigan. Adam serves as the Chair of the Framingham Board of License Commissioners, which oversees and licenses business activity in the City of Framingham. Recognized as a "Rising Star" by Massachusetts Super Lawyers, 2016, 2017, and 2018. Associate counsel for corporate developer of proposed $1 Billion resort/casino in Massachusetts. Represented hotel and developer in licensing and commission approvals for creation of new performing arts venue in Boston’s Seaport District. Assisted country club operator in compliance with M.G.L.c. 138 in anticipation of the 2013 U.S. Golf Amateur Championship. Representation included analysis of existing licensing legislation, filings with the Alcoholic Beverage Control Commission, and appearances before local licensing authorities. Served as corporate and licensing counsel to dozens of new and existing hotels, restaurants, breweries, and bars in Boston, Brookline, Cambridge, Cohasset, Duxbury, Lowell, Newton, Norwood, Salem, Sharon, and Randolph, among others. Represented an association of hotels and restaurants before the Town of Brookline’s Special Licensing Review Committee. Successfully advanced clients’ goals through negotiating draft legislation with Town Counsel and the Brookline Board of Selectmen.